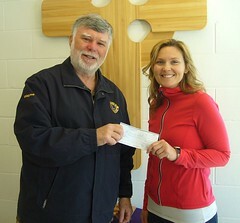 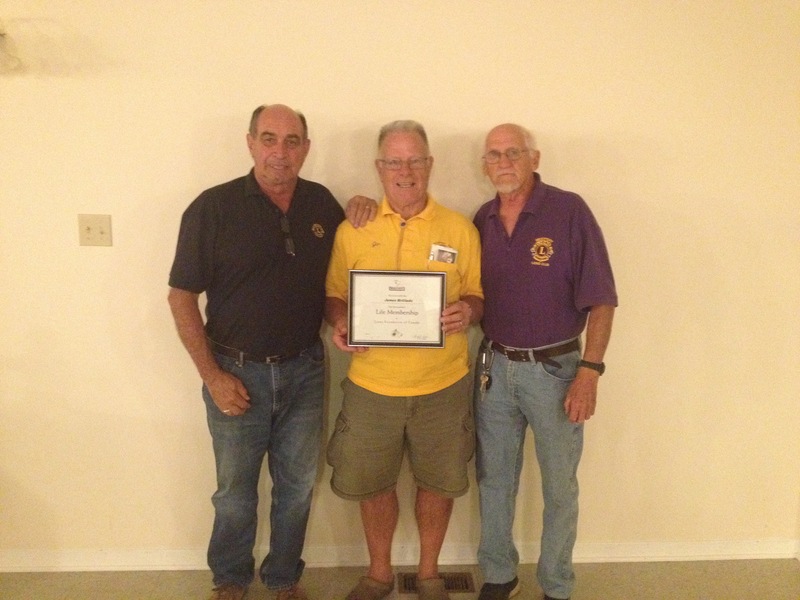 Jim McGlade (centre) was presented wtih a life membership of Guide Dogs Lions Foundation of Canada. 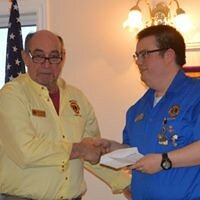 The award was presented by Treasurer Jim Scala (left) and Club President Don Baker (right). 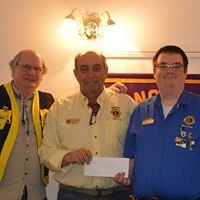 Jim has given outstanding service to Lionism for nearly 50 years. 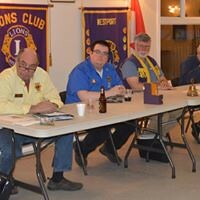 Jim has helped found several Lion’s clubs in the area, served in many executive positions and continues to tirelessly support the good work we do.